Property Development is often mistaken to be hard to get into. Most people think that you need a lot of money, a lot of time and years of experience within the industry. Well that's not true. We are proof that anyone can do it, you need the right power team behind you and you need education. Getting the right education is the key to succeeding in property development. 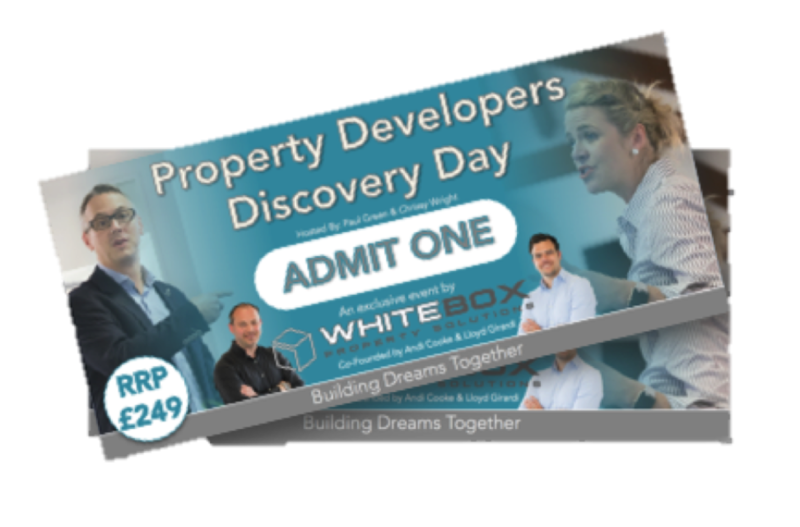 We have designed a Property Developers Discovery day to introduce you to the idea of property development. We will show you how you can become a property developer, use none of your own money (YES it is possible), make BIG profits and with different exit strategies you could Build-To-Sell or Build-To-Rent. ​We specialise in Build-To-Rent and have made profits of over £1,000,000 in less than 2 years... We want to show you how you can do it too. On the discovery day you will discover many aspects of property development including some under the radar tactics to source off market land development deals. You will discover how to fund the development 100% using other people's money and learn the different exit strategies.